Made in Liverpool. Global edge. 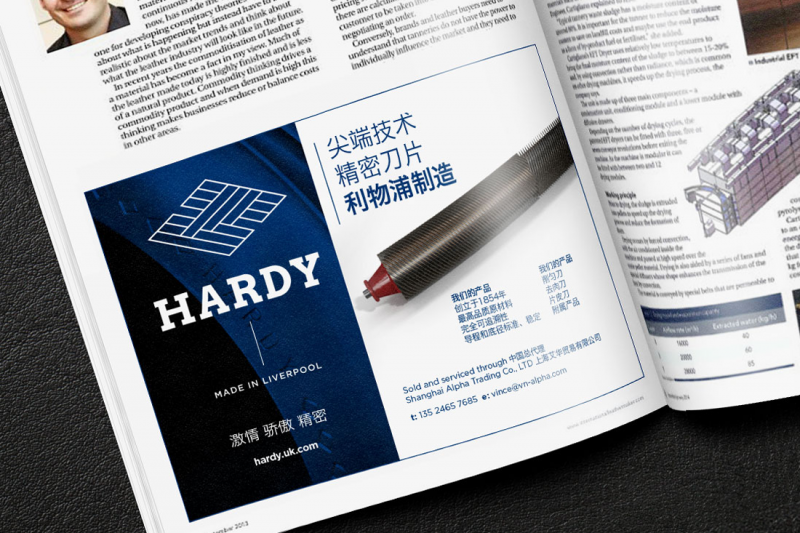 In 2016, our client, Arkote Ltd acquired Hardy UK, the market leading manufacturer of precision blades for the leather industry. 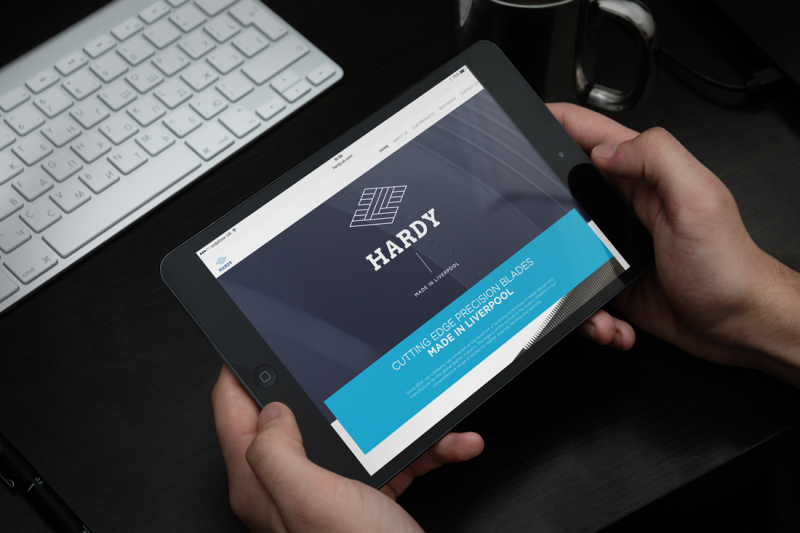 HERRON + CO were brought in to help deliver the management team’s vision of the ‘future Hardy’. As 95% of the business’ sales are export, it was clear that this 160 year old industrial brand needed to be rebuilt for the digital world. 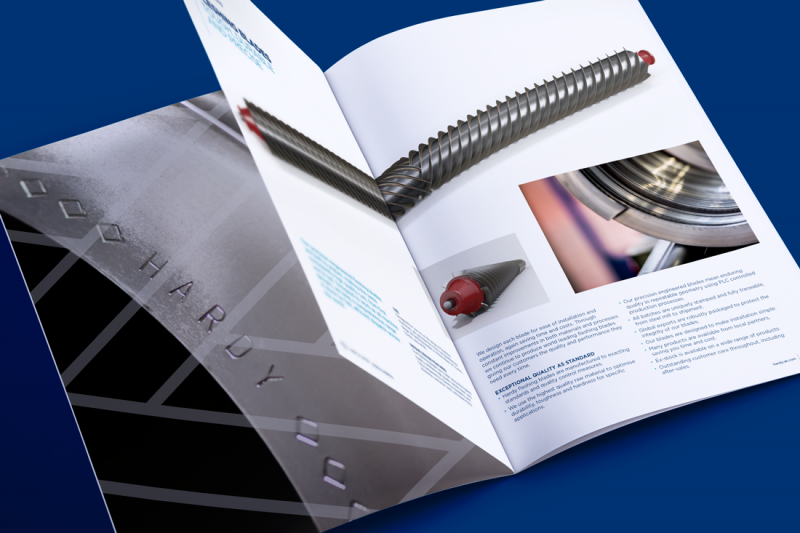 We worked to revitalise and transform all its brand touch-points, including key sales tools in multiple languages. We crafted a new identity that aligned with the board’s ambition and global growth strategy. 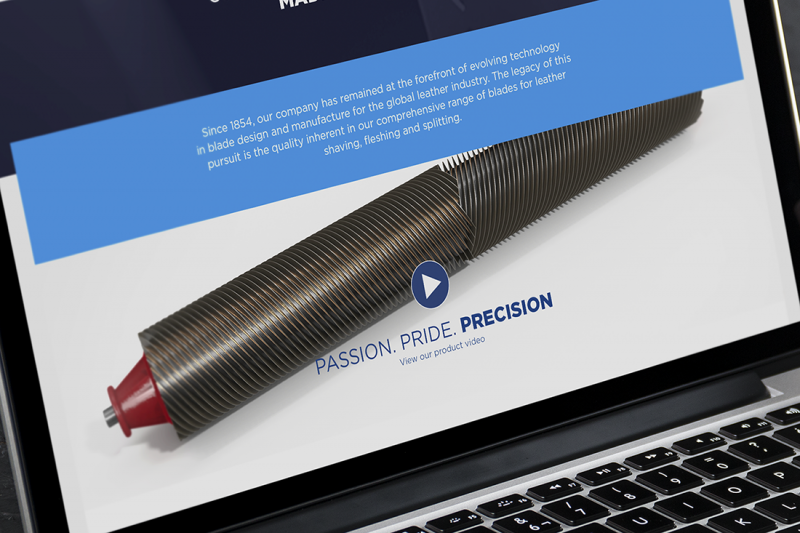 A website and 3D animations were created to reflected the substantial investment in premises, state-of-the-art machinery and people. 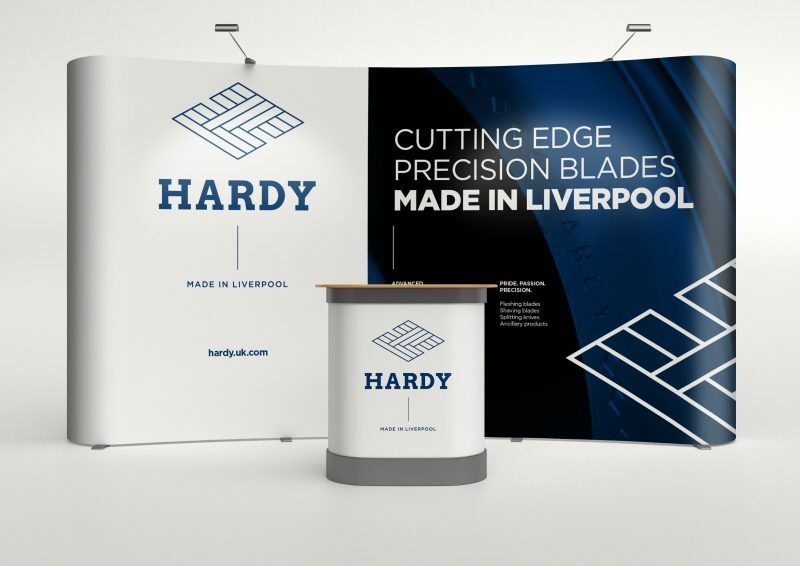 We drew on the past to engineer a refreshed brand for Hardy and debuted the bolder, more dynamic, digital ready business to their customers and global sales agents in a rapturous reception at the leather industry’s global trade show in Milan.